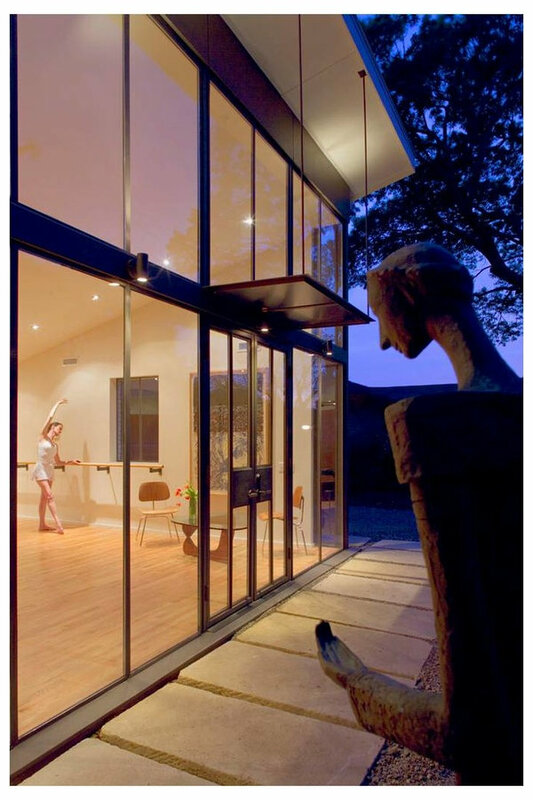 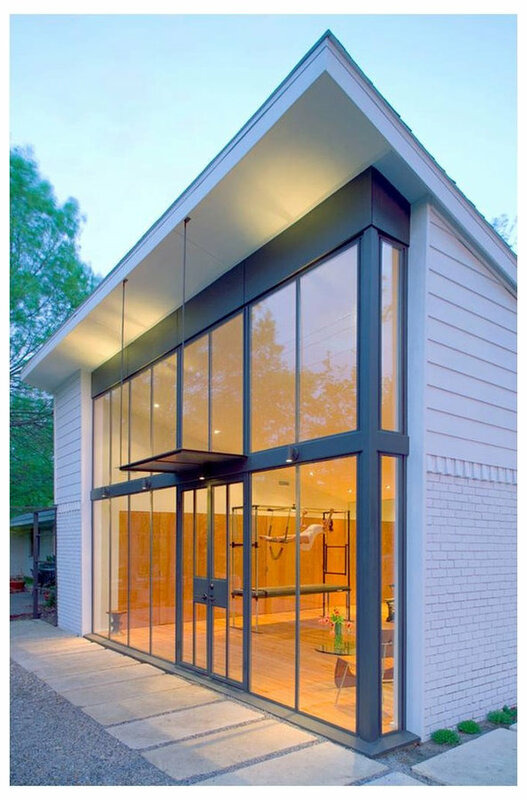 This project involved the conversion of a residential attached garage into a Pilates studio where the owner teaches Pilates to individual clients. 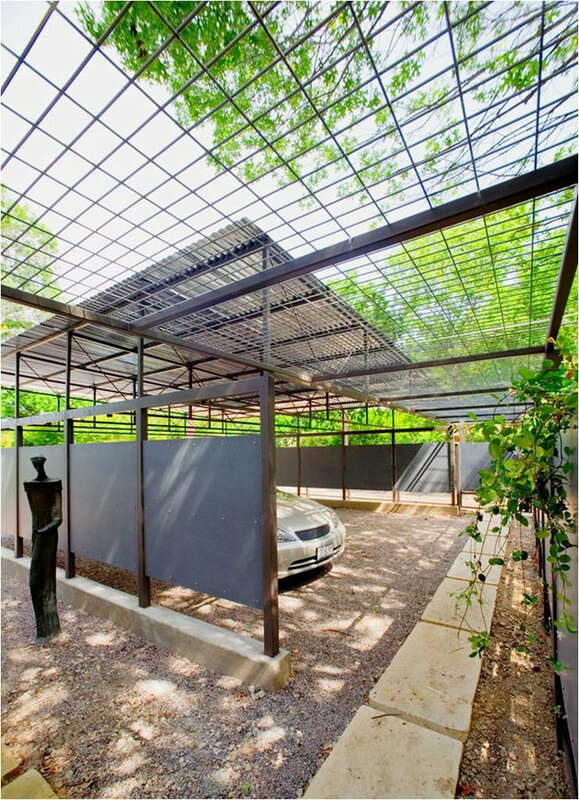 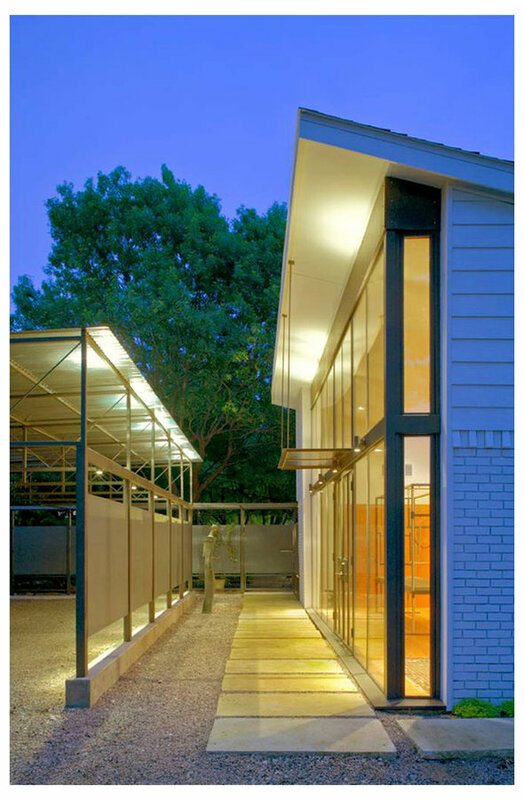 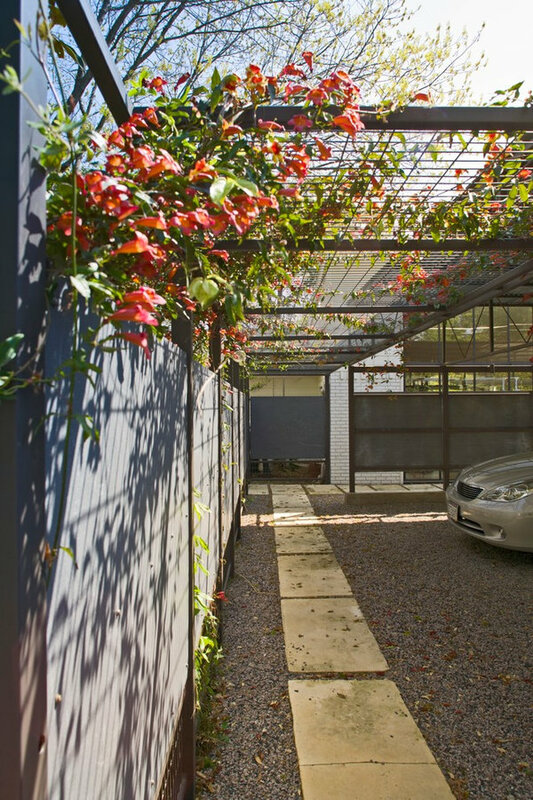 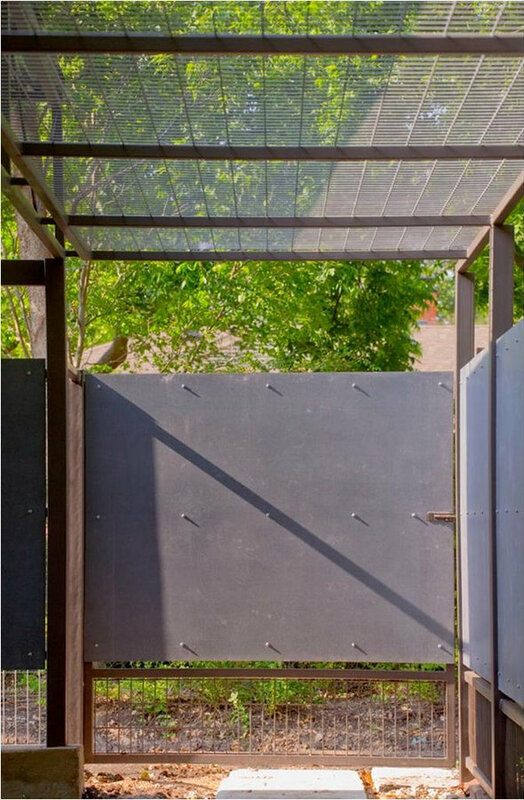 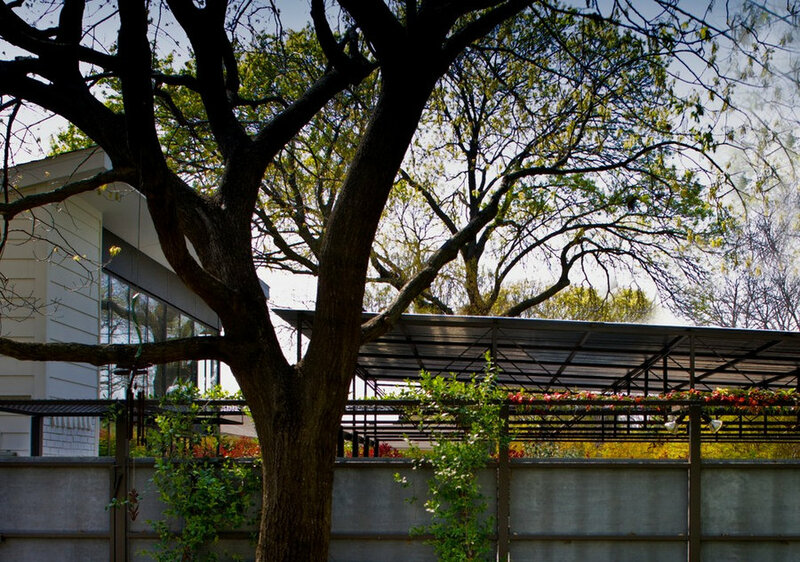 Parking for the owner and her clients is accommodated in a covered carport connected to the studio and the owner's private garden by a trellis-covered limestone path. 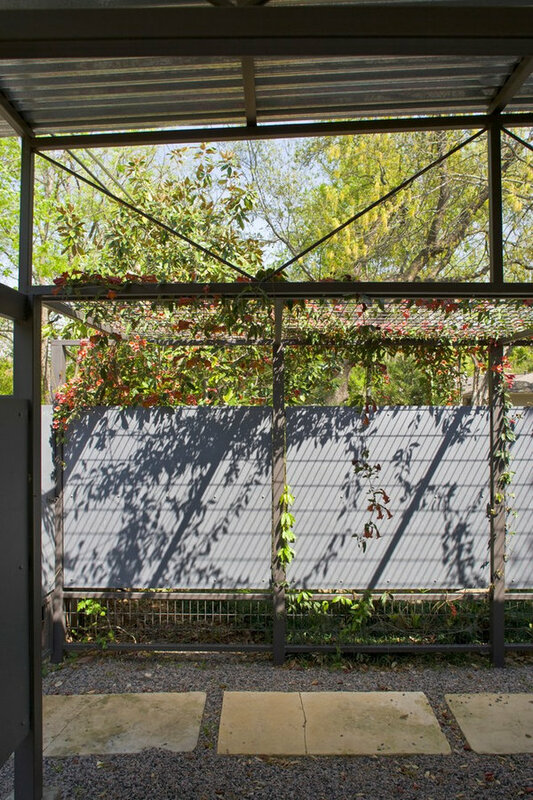 View from the studio toward the entry court and carport beyond.